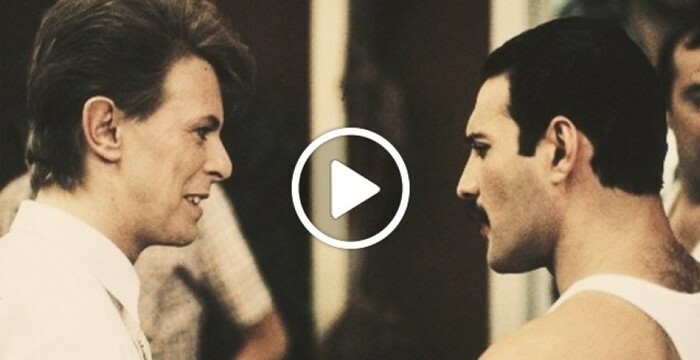 Home » Celebrities & Famous Personalities » I Had Now Idea ‘Under Pressure’ Could Sound Like THIS Without Music: Freddie Mercury & David Bowie A Cappella! The last few decades of the 20th century are widely considered to be a golden period in the history of music by many people from different parts of the world. Amongst the many iconic bands and musicians who reached the pinnacle of popularity during this period, two names definitely deserve a mention, ‘Queen’ and ‘David Bowie’. Both these trendsetters, who went on to earn millions of fans world over, decided to collaborate and produce a great song together. The result of their collaboration is the peppy track ‘Under Pressure’ and as expected, the track received rave reviews and instantly impressed music lovers from around the globe.